This morning I rode to Kendall Yards to take photos (a paying gig!) of the runners taking part in the Negative Split Half Marathon and 10k events. 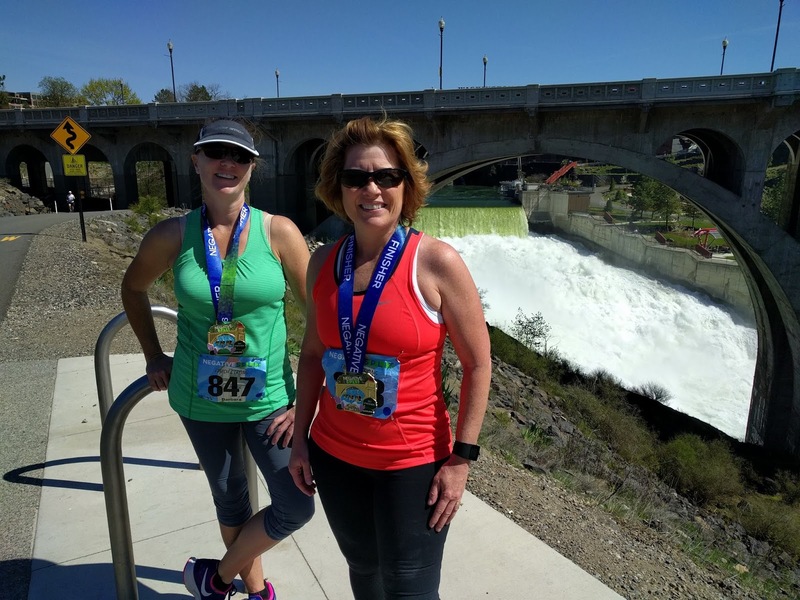 Kathy and my sister, Barb, had a good time running the half marathon. They stopped by with their finisher medals so I could take their picture.